Simply stunning! These cardigans say everything with very little. One greek letter is stitched onto these great 100% no-pil acrylic sweaters, and your frat name is embroidered within the swirling banner. Masons designs feature the square and compass instead of a greek letter. Groove cardigans feature a "G". 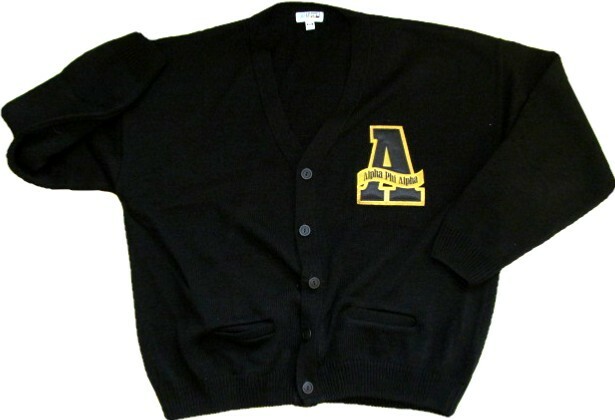 These cardigans have two full pockets and tapered bottom and cuffs.